Note: This is a very large 2-piece unit, and it requires a full-size long-bed open truck (completely empty) or flatbed trailer to be hauled. This unit will NOT fit in an SUV or minivan. Ready for a crazy, super fun event? Then you’ve found the perfect inflatable! 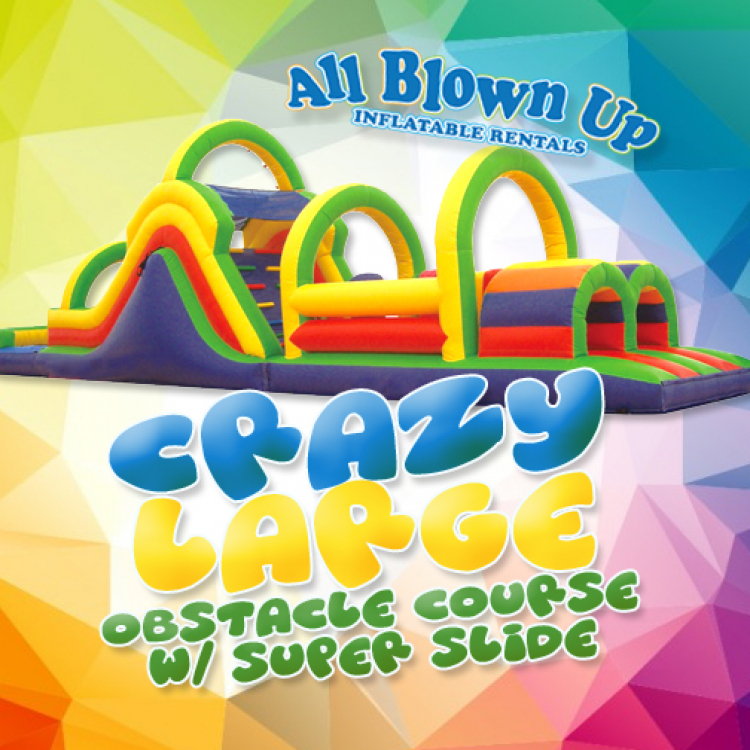 The super slide at the end will top off tunnels and obstacles of fun. 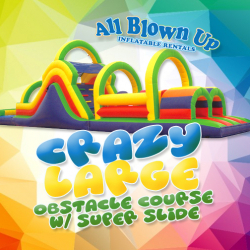 Guests can race their friends or try to top their own time through the obstacle course and enjoy hours of fun.